I’m always the first to say there is always something going on in Hancock County (and, I’m right – just look!) and Thanksgiving weekend is no exception. There is food to eat, libations to indulge in, boutiques to shop, and traditions to continue (or start!). In fact, I’d say that Thanksgiving weekend is one of my favorites in our community. If this is your first time in Findlay and Hancock County over Thanksgiving (or you’re just looking for some new things to do) – have no worry, I’ve got you covered with this guide to navigate Thanksgiving in Findlay and Hancock County! Step 1: Order your Treats ahead of time and prepare for your Thanksgiving Meal! Whew, I almost waited too long for this one because Thanksgiving is quickly approaching! It is time to order all the delicious baked goods like pies, rolls, cookies, bread, and more to support Thanksgiving dinner. Speaking of Thanksgiving dinner, whether you’ve decided to eat out or cook there are plenty of ways to do both local. The Dough Hook, Brinkman’s, and Great Scot! have all the necessary ingredients for a perfect Thanksgiving meal, and, when in doubt, eat out! See locations that will be open on the holiday here. They’re even more delicious than they look – see my pro tip below! Pro Tip: Don’t forget your Bread Kneads‘ Butterflake rolls! Deadline is 5:30 p.m. on Monday. Seriously, call them: 419-422-3863! Women’s Resource Center’s annual Turkey Trot will take place at 9 a.m. sharp Thanksgiving morning, so don your best costumes (you could win a prize!) and hit the road for this fun run. This year the race will be awarding smoked turkeys to the leaders of the pack! Online registration available until November 19 and day-of registration will be available as well. Get your costumes ready and race for the smoked turkeys during WRC’s Turkey Trot! Step 3: Shop until you Drop! Once the turkey has been packed away it is officially time to get shopping – try to do most of your shopping locally! Not only will you be supporting your neighbors and fellow community members, you’ll be supporting the local economy as well. Did you know that for every $100 spent in locally owned independent stores $68 returns to the community, compared to only $43 in a national chain. As you kick off the weekend of shopping on Black Friday, may of your favorite local spots are getting in on the fun. The Urban Market will be kicking off the day at 5 a.m. with early bird specials. Also with proverbial worms for the early birds, Papillon Boutique will be offering specials from 10 a.m. – Noon and Flag City Clothing will be giving away a free tshirt to the first 50 visitors! See all the Black Friday deals here! Small Business Saturday continues with many, many local locations participating. Boutiques, restaurants, bars, bakeries, home improvement stores, and more will be open on Small Business Saturday – many with extended hours or deals for your convenience. To support your neighbors, we’re asking that you spend at least $10 at one (or more!) of your favorite small businesses to make a real impact while you check people off your gift-giving list! Bonus: Keep the Shopping going on Cyber Monday – just keep it local! Trends! on Main will be having a special online deal – any purchase made on their website will receive a free scarf and a piece of jewelry, and Flag City Clothing will be hosting gift card deals! My favorite part of Thanksgiving weekend is all the opportunities for creating memories. Friday evening is when the holiday festivities begin. The City of Findlay Tree Lighting Ceremony in Dorney Plaza will begin at 6 p.m. The fun continues immediately after with the first night of WinterFest and Kiwanis Santa’s House. WinterFest is one of my favorite events of the entire year – and it ranks up there for my boys as well! Enter Santa’s House for the whole family to meet the big man in red, have the children sign the Nice List, and enjoy hot chocolate and sweet treats. Horse-drawn wagon rides through Downtown Findlay are also an important part of WinterFest – make sure to dress warmly! WinterFest and Santa’s House will continue every Friday until December 21. WinterFest and Santa’s House is a holiday tradition must – especially for our family! Also beginning on Friday evening is Northwest Ohio Railroad Preservation, Inc.’s North Pole Express. Take a ride on decked-out quarter scale trains through a fully decorated magical winter wonderland. Over 100 Christmas Trees will be decorated to the nines in the museum and the best part – like all their events and activities, rides are extremely affordable. Adults ride the train for just $3, children $2 and it is worth every penny. North Pole Express will continue every Friday, Saturday, and Sunday until December 30! Train Rides, Model Trains, Holiday Decorations – NWORRP’s North Pole Express is a magical place! Saturday offers more memory-making opportunities. Like I mentioned above, the North Pole Express will be running (on Sunday too! ), but the fun is really happening in Bluffton during their Blaze of Lights! Did you know that Bluffton was recently added to Ohio. Find it Here’s official Holiday Lights Trail? The lights will be blazing (see what I did there?) through the end of the year, but they begin on Saturday. It isn’t just lights that this special event has to offer, the organized activities kick off at 5 p.m. with a parade with over 100 entries through Downtown Bluffton and continues following the parade with live entertainment and family-friendly stations. The ceremonial lighting of the Ream folk art display begins at 7 p.m. The Bluffton Presbyterian Church lawn will be filled with lights, painted and wood images of all things Christmas. Emcee John George–dressed as a town crier–will lead the festivities and an honorary “switch hitter” will turn on the lights. The Ream folk art display is something not to be missed! Don’t miss the Blaze of Lights in Bluffton, including the parade with over 100 entries! Sunday is for recovery – or for making wreaths at the Findlay-Hancock County Public Library. Like I said, there is always something to do in Findlay and Hancock County! I hope you, your family, and friends enjoy all that Findlay and Hancock County has to offer over the holiday weekend! Happy Thanksgiving!  This blog post is written by Visit Findlay Community Relations and Development Manager Danielle Wilkin. Danielle is a reality TV aficionado, frequent Downtown diner, and a busy mom! That isn’t much, is it? See more about Danielle and read more from her here!